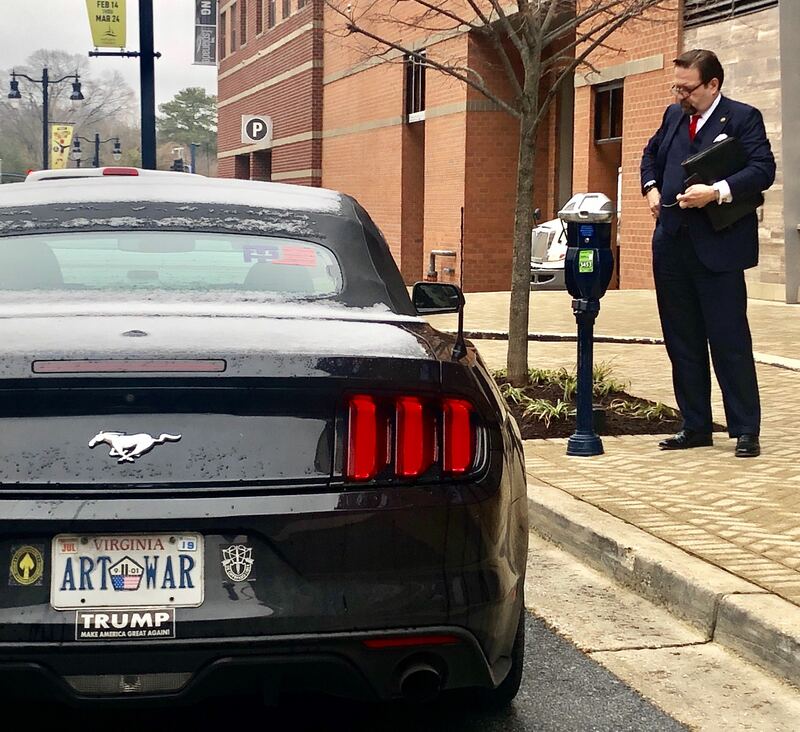 Two years ago, former Washingtonian reporter Benjamin Freed noted that Sebastian Gorka had parked on the sidewalk in Arlington. On Friday at CPAC, our photographer Evy Mages spotted him doing a much better job. For perhaps the first time in Gorka’s life, he’s a bit too far to the left, (or, if you prefer, middle of the road), and he really should have cleaned that snow off the roof, but kudos on keeping all four tires on the asphalt! Now if he could just figure out that crazy machine on the sidewalk.